Genius gluten-free and wheat-free Spicy Fruit Loaf has just the right combination of sultanas, currants, raisins and spices. The whole family will love the subtle fruity sweetness, and the hint of cinnamon in every delicious slice. 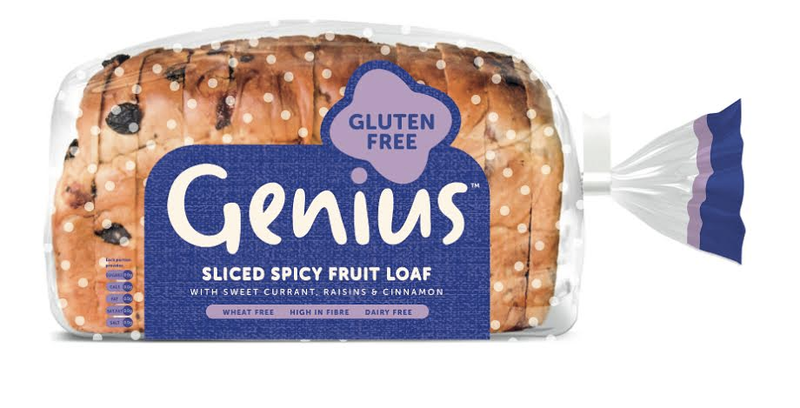 Genius costs £2.99 a loaf and is available from Tesco's now .It's also stocked in many more independent shops and retailers too. 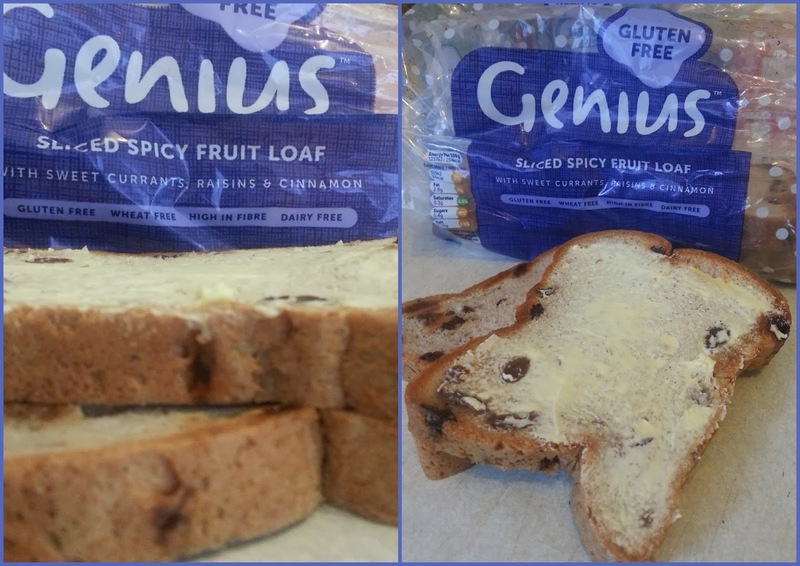 I've been trying the new Genius Spicy Fruit Loaf this week and have to say it's a real winter warmer. It's fruity and flavoursome with a gentle hint of spice, which is just right. I'm not a huge fan of fruit breads but this one was quite nice and I actually enjoyed it. Would I buy it myself? Probably not, because I'm not a huge fruit fan but that's the only reason why. There's nothing wrong with the bread, it's just not for me. My 11 year old daughter Chloe on the other hand loved it, she practically ate the whole loaf apart from the slice I tried. If you like raisins or fruit breads then this could be one for you, it's full of flavour and just waiting to be enjoyed. Disclosure: I was sent a sample (1 loaf) of this Spicy Fruit Loaf to try for the purpose of this review but the opinions expressed are 100% my own and always honest. Save energy & money on your energy bills. Fairy Non-Bio and The Power of Soft! At What Age Did Your Children Learn To The Time?